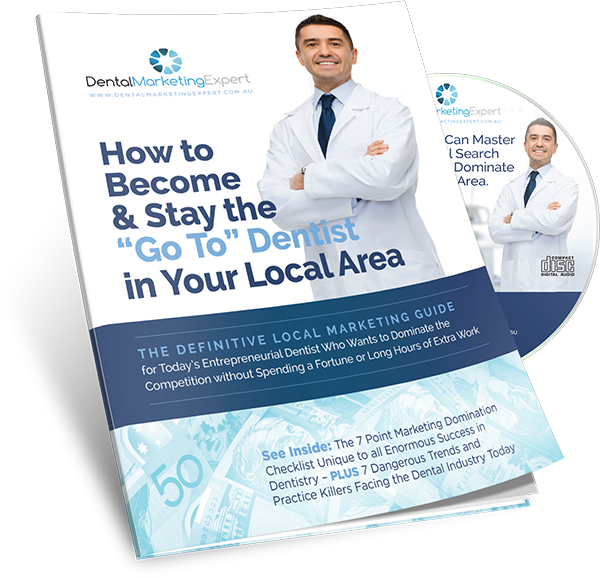 Dental Marketing Expert is a dream solution for hard-working dentists who want to grow their practice. Let’s face it, fun family time or working on new ways to grow the practice is waaaaay more preferable to slaving over a computer trying to figure it all out for yourself. Who doesn’t want more time, more focus and more market dominance? Why? Because you don’t have time to do it. It makes perfect sense to outsource this important business function to specialists who do it for you. Why? Because that empty chair is burning a hole in your pocket and you need to fill it. This is where done for you really leverages your time and energy. Why? Because you’re entrepreneurial enough to know that you have to outsource those tasks which aren’t your area of expertise. Going to a second location can stretch everything – including you – and you realise the only way forward is to work with trusted outside experts. Why? Because you understand what brought you success today will not be enough to create future success… so you bring in specialists with the skills to help you dominate. Why? Because you KNOW the trend is local online marketing and if you want to DOMINATE your area, you have to get outside help from a proven provider.